As the 19th century wound down, West 23rd Street had seen tremendous change. The residential street of elegant homes had given way to New York’s entertainment district after the Civil War. The wide thoroughfare was dotted with venues like Booth’s Theatre, the Grand Opera, Proctor’s Theatre, and Koster and Bial’s Music Hall by the 1870s. Then, as the Ladies’ Mile—the shopping district of grand block-wide emporiums—inched upward along 6th Avenue and the theater district moved north towards Times Square, commerce and the apparel industry crept in. 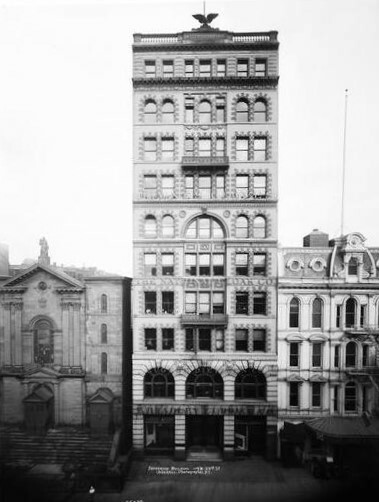 In 1894 an ambitious loft and retail building was being erected by the National Cloak Company at Nos. 119 and 121 West 23rd Street. It would be a structure on the cutting edge of architectural engineering. Already the city was seeing tall buildings rise, the height of which was impossible a generation earlier, earning them the nickname skyscrapers. The same year that ground was broken for the 10-story National Cloak Company building, construction began on the American Tract Society Building downtown that would stretch to twice the height. New Yorkers craned their necks upward as new buildings went higher into the air. The building was completed in March 1897. It was an interesting combination of styles, to be sure. The sturdy two-story rusticated limestone base was sparsely decorated with Beaux Arts touches. Here expansive windows provided visibility to the street-level retail space and flooded the second story with sunlight. The architect melded Italian Renaissance with Romanesque in the brick and terra cotta upper eight floors. If he had been reserved with decoration at the base, here he let loose. Every opening was outlined with hefty, foliate terra cotta blocks; a decorative overkill that resulted in a crusted-over appearance. Two heavy cast iron balconies added visual appeal and a central-three story central arch relieved the mass of the building. Despite the over-ambitious use of the terra cotta quoins, the design worked. A surprising mix of tenants moved into the new building in addition to the apparel firms. George Routledge & Sons was among them. The publishing firm had been founded in 1835 and was still going strong, cranking out what The Literary Year-Book called “cheap, popular and standard books.” Other publishers in the building were Pott & Company, who would stay for at least until 1921; and G. W. Dillingham. E. Bradley Currier Company established its home here. The firm supplied architectural items; one advertisement offering “imported and domestic reproductions of all the periods executed in rich marble, embellished with wrought and mercury gold ornamentation. Replicas of the famous mantels from the Tuileries, Versailles, Fontainebleau, etc.” In addition, architects and decorators could shop for tile and marble mosaics, period woodwork, tile bathrooms and fireplaces and accessories here. The wide mix of tenants also included Eugene Diezgen Company in 1904, sellers of drawing instruments and materials. 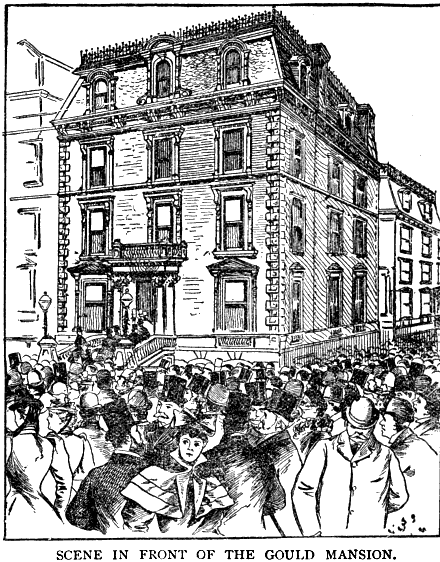 A similar firm, The Prudential Art Company would move from East 12th Street for “much larger quarters” in 1914. But the majority of the companies, like National Cloak, were apparel firms. Through the World War I years Jackson-Mack Manufacturing Company made silk petticoats and kimonos; Schaack Manufacturing took space in 1913, the same year that Fred Newmark leased the entire 9th floor; and the Lafayette Waist Company, Parisian Embroidery Company and Samuel Rosenthal were among the long list of clothing companies. By the 1920s the garment and millinery district had moved north to the area between 35th and 40th Streets around 6th and 7th Avenues. As the apparel firms left Nos. 119-121 West 23rd Street, new tenants moved in. In 1921 Steiner & Co. took space here. The firm was long established in the stationery industry but with its new department “handling high-grade coarse paper and twine” it needed what the Paper Trade Journal called a “much larger and more conveniently equipped” headquarters. Small mail order companies established themselves in the building, offering inexpensive gadgets advertised in the back pages of popular magazines. The Perfection Radio Corporation of America was here in 1923, offering “ear phones, crystal sets, etc.” The company’s advertisements urged “Let Radio Radiate Your Home.” The Monroe Specialty Co. sold an inventive device that would sharpen used razor blades with a magnet. Through the 1950s the Berny Novelty Company continued the trend. The theater tradition of 23rd Street was revived when the Duality Playhouse offered Off-Broadway productions here in the 1990s, and the Native Aliens Playhouse opened a decade later. The century of changes along West 23rd Street passed over Nos. 119-121. Although the space where Victorian women were measured for fitted suits now houses a computer store, the eye-catching façade looks much the same as it did when National Cloak Company opened its doors in March 1897. 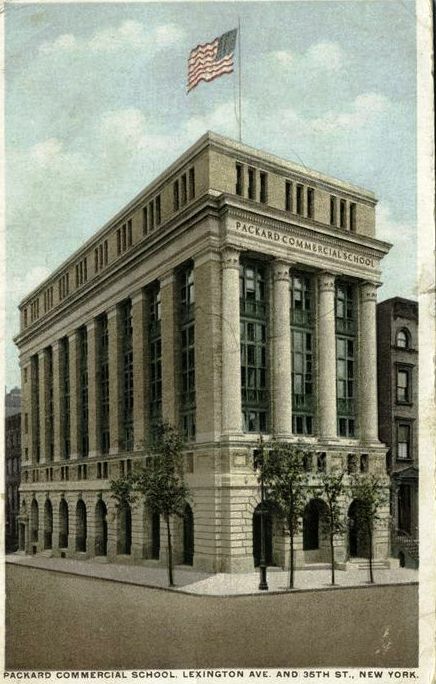 The Packard Commercial School was a success. In 1863 it moved into enlarged space in the Mortimer Block on Broadway at 22nd Street. 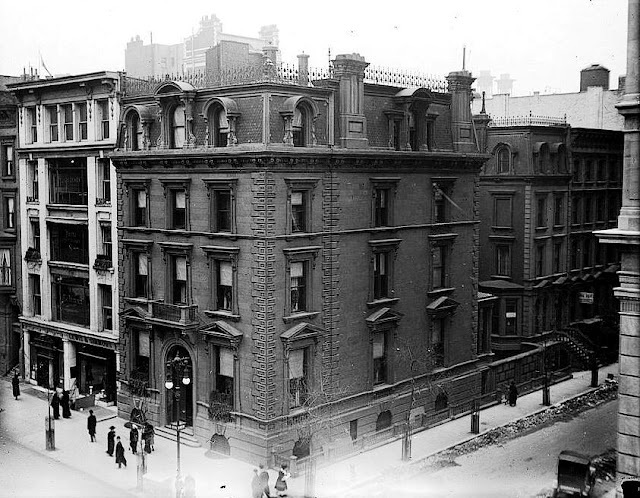 Seven years later it took an entire floor in the Methodist Building eleven blocks to the south; and in 1887 it took over the former building of the College of Physicians and Surgeons at Fourth Avenue and 23rd Street. The school remained in the building at 4th Avenue and 23rd Street for 23 years. Packard was a brilliant educator. The business schools of France were founded on his model and in 1893 he was appointed president of the Congress of Business Education of the World’s Fair Congress in Chicago. He was also an affable administrator, shattering the image of the stern Victorian schoolmaster. On April 28, 1896 he was honored with a dinner at the exclusive Delmonico’s for his 70th birthday. The celebration was attended by over 600 former students, teachers and friends. To show their appreciation he was presented with a loving cup. Shortly before he had been presented with a bronze bust of himself executive by eminent sculptor J. Q. A. Ward. Architect H. F. Ballantyne was given the commission to design the new structure. Packard’s widow had bequeathed funds for the school, expressing “the earnest desire” for a “beautiful, modern and perfectly equipped school building.” Her earnest desires were fulfilled in Ballantyne’s design. Brownstone mansions still abut the limestone and brick building in this period postcard view. Ballantyne described the building in his own words in Architecture and Building in January 1912. 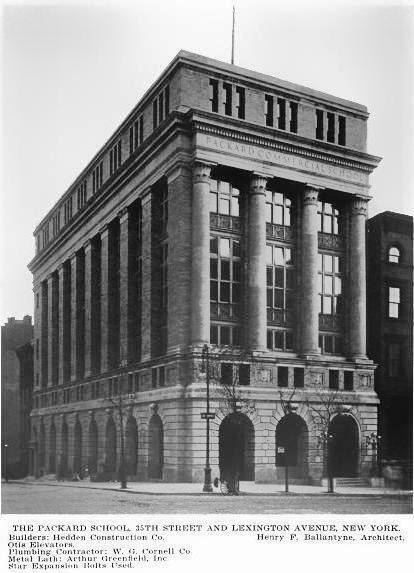 “The style of the building might be described as Georgian, or rather a modern adaptation of that early American style sometimes called Colonial.” The architect achieved monumentality with soaring brick pilasters along the 35th Street façade that became engaged brick columns on Lexington Avenue. Great expanses of glass flooded the classrooms with natural light. Inside students could use either of two elevators or the “wide marble stairways which give access to the class rooms above by marble walled corridors,” said the architect. By the use of rolling partitions, the classrooms on the third floor could be opened to form a 4,000 square foot lecture hall. The Packard Commercial School often lured the most esteemed names in the country as commencement speakers. So it was in May of 1914 when the Speaker of the House of Representatives, Champ Clark, addressed the graduates in Carnegie Hall. The Speaker touched on a number of issues he felt the students should be aware of in entering the world of business and politics. By 1954 the Packard Commercial School had closed. 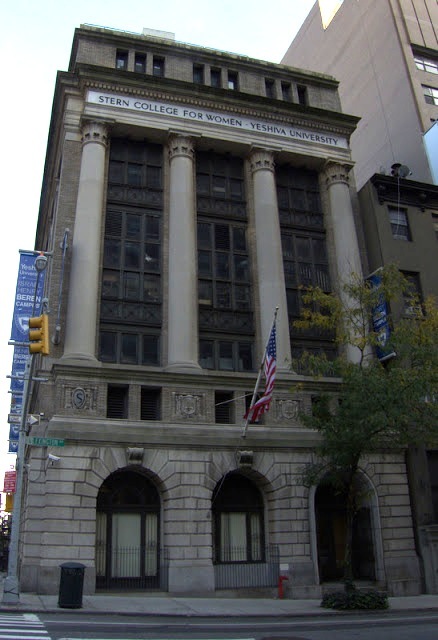 The building caught the eye of Yeshiva University. At the time there was a defined gender gap in Jewish education; in short women were unable to receive good Jewish education in centrist Orthodox schools. Using a major donation from the president of Hartz Mountain Products, Max Stern, the Yeshiva established the Stern College for Women—a separate institution for Jewish female students. It was here that Rabbi Joseph B. Soloveitchik initiated the highly-controversial Talmud lecture for women. Although the Yeshiva agreed to a school for women, many unbending tradionalists balked against females studying and teaching Talmud. Today Stern College remains in the unchanged, monumental building, continuing Silas Packard’s tradition of extending the opportunity of education to women. A time-honored tradition in New York City was the placement of two lampposts outside the residence of the Mayor upon his election. “The lamps are placed on the two pillars of the steps and never on the sidewalk,” explained The New York Herald on Sunday, January 10, 1892. The gas lamps were provided and maintained at the City’s expense. They remained throughout the Mayor’s lifetime after he left office or afterward if his family desired. Therefore, there could be numerous pairs of lamps throughout the city before the time of an established mayoral mansion. At the time of the Herald article there were thirteen such pairs—among them the lamps in front of No. 592 5th Avenue. George Opdyke started out in the dry goods business, amassing millions of dollars prior to the Civil War. Always politically active, he contributed a staggering $20,000 to the campaign of Abraham Lincoln. Elected mayor in 1862, he was living at 79 5th Avenue, near 15th Street, when the Draft Riots broke out in 1863. The mob headed for the Opdyke house with the intention of pillaging and torching it. The twin mayoral lampposts would make the residence easy to recognize. Only the intervention of Judge George G. Barnard who mounted the steps and dissuaded the crowd saved the mansion. Following the war, in 1869, the former mayor built a fine new brownstone residence further up 5th Avenue at the northeast corner of 47th Street. The elegant and refined house rose three stories to a steep mansard roof—the latest in architectural fashion recently imported from Paris—that was crested with lacy ironwork and interrupted by deep hooded dormers. A pillared portico sheltered the doorway and, following tradition, the entrance steps were flanked by two tall mayoral lamps. Although a year earlier he had left the dry goods business to establish the banking firm of George Opdyke & Co. with his sons, Opdyke remained a leading force in New York’s political scene. On March 15, 1874 during the great Financial Panic, for instance, he held a meeting in the house to arrange a mass assembly in the Cooper Institute to “give public expression to pinions on national finances.” Among the heavy-hitters present were Peter Cooper, Ethan Allen, Isaac Sherman and Elliot C. Cowdin. The neighborhood by now was the most exclusive in the city and directly across the avenue at No. 578 lived the industrialist and railroad tycoon, Jay Gould and his family. Apparently Gould coveted the Opdyke residence, for shortly after the former mayor’s death on June 12, 1880, Gould bought the mansion. It would take a full year to complete the redecoration of the house before the family move in. Perhaps the preeminent decorating and furniture making firm at the time was New York’s Herter Brothers. Although in 1881 they were already busy decorating the new 5th Avenue mansions of William Henry Vanderbilt and Darius Ogden Mills, they added the Gould house to their list of projects. That country house was the magnificent Gothic Revival Lyndhurst--the sprawling estate Gould had spent $250,000 for a year before buying No. 579. Gould was never one to over-spend, despite his vast fortune, and Lyndhurst would be his most extravagant purchase. It was where he found refuge from the pressures of the city. Life in the brownstone mansion was quiet as compared with the glittering entertainments of other 5th Avenue millionaires. Halstead noted that Helen Gould “never took park in social pleasures. Her trouble was a nervous one, and she could not endure excitement. Thus the house was never given over to festivities to any extent.” Instead, it was a place of pampered family life for the Goulds and their six children, George, Edwin, Howard, Frank, Anna and Helen. Among the staff who maintained the comfortable household was Margaret Terry, the housekeeper hired by Helen Gould in 1876. Margaret would eventually be considered nearly a member of the family. Despite Gould’s well-earned reputation as a cut-throat businessman, he sought to teach his children compassion and charity. Every morning after breakfast the “begging letters” were brought into the dining room and piled onto the table. Wealthy 19th century businessmen could expect a bag of mail every day asking for handouts. Each member of the family chose as many letters from the pile as desired until none were left. If someone felt that his letter reflected real need, it was replaced in the center of the table. The others were burned in the fireplace. Gould would then send personal detectives to investigate each case. If a letter proved true, financial aid was given commensurate with the needs of the particular case. But Gould demanded that his identity as the donor never be disclosed. 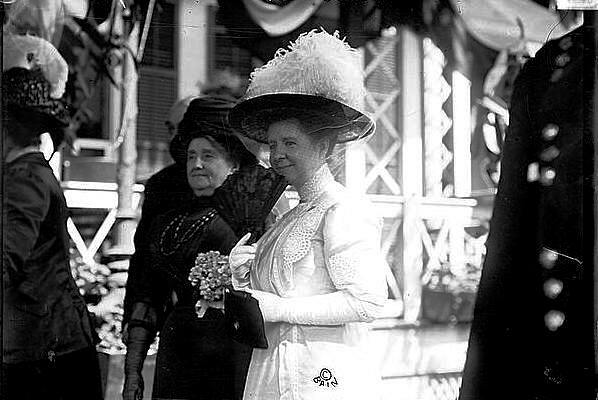 Among those named in Helen Gould’s will was her beloved housekeeper, Margaret Terry, who “received a large sum of money,” according to the New-York Tribune. Gould’s eldest daughter, 21-year old Helen Miller Gould, was now in charge of the house and her younger sister. The remarkable Helen followed in her father’s financial footsteps and attended the New York University School of Law, graduating in 1895, and earned a reputation as for her business acumen. She also inherited her father’s love of an unostentatious existence. Throughout his life Jay Gould had battled a series of lung ailments and in middle age contracted tuberculosis. In late February, 1892, he became so ill that he was bedridden in the 5th Avenue mansion. As his health declined, he issued instructions from his bed for the management of his extensive estate “so as to avert a potential stock market panic following his death,” according to the Ludington Daily News. Gould lingered on for months. Towards the end of November his physician Dr. John Munn was constantly present at his bedside. On the night of December 1, 1892, the hemorrhaging of his lungs worsened and at 9:15 the following morning, Jay Gould died. 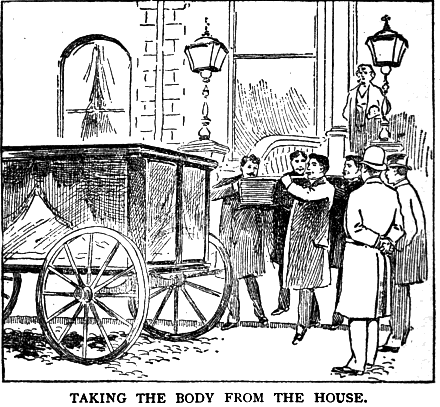 On the morning of December 5 Gould’s unpretentious coffin sat in the parlor between two windows looking onto 5th Avenue. “the shaded rooms were lit by incandescent globes, which threw a rich and generous glow upon the magnificent furniture, the tapestries, the walls clothed in silk and velvet, and blossoming with paintings from great masters, the somber silver mounted casket buried in a magnificent mass of flowers from which looked forth a strong and peaceful face,” wrote Henry Davenport Northrop. When the arriving carriage carrying John Jacob Astor and his young wife nearly struck him, “He turned and cursed them, too, but he would have cursed them a thousand times more bitterly if he had known that it was the wheels of the Astors which so narrowly missed him,” presumed Northrop. Of the approximately 2,000 mourners who sought entrance to the Gould house about 150 were admitted. Among these were the foremost leaders of industry and finance in the nation—both friends and foes of Gould during his lifetime. The following Tuesday evening the family assembled in the mansion as Judge Dillon read Jay Gould’s Last Will & Testament. The $72 million estate was divided among the six children. Helen received the 5th Avenue house. She also received a $6000 per month income (about $135,000 today) with the expectation that she would continue to provide a home for the minor children, Anna and Frank, as well as Howard. A peculiar restriction in the will was that none of the Gould heirs was permitted to marry without the unanimous approval of the other siblings. A “Miss Altman” was Helen’s chief secretary and “all the correspondence, including literally hundreds of begging letters, go to her. Miss Gould never sees them, although she insists on daily memoranda of requests for aid from established charities. She seldom sees callers.” Margaret Terry, hired decades earlier as housekeeper, now helped Helen Gould dispense charity and acted as her companion. As it turns out, the strong-willed Helen Gould would stay put in the house in which she had grown up, changing little. Her only peer was the equally-stubborn Robert Goelet whose magnificent old mansion still stood at No. 591 5th Avenue, one block to the north. As 1907 drew to a close the 88-year old Margaret Terry contracted what the New-York Tribune called “an attack of grip.” After 31 years of serving the Gould family, she died in the house at No. 579 5th Avenue on January 5, 1908 with Helen Gould and the other servants at her bedside. Now somewhat isolated in a sea of commerce, Helen had an electric burglar alarm installed in the house. On the evening of April 12, 1908 the alarm bells went off and, without calling her servants, Helen telephoned Police Headquarters. She then accompanied the three responding officers around the mansion. It was discovered that a servant had accidentally disconnected the wires. The Times reported that when they had completed the investigation, Helen had supper prepared for the policemen. The wealthy woman who lived alone in her brownstone time capsule perhaps shocked New Yorkers when it was announced in August 1910 that she had contracted architects Carrere & Haastings to make “extensive alterations” to the mansion. “The plans call for removing the area balustrade and stoop, building a new entrance of ornamental grilled ironwork with a small balcony overhead, a new window opening on the street side, vault lights over the present area on Fifth Avenue, and replacing the old-fashioned flagstones with granolithic sidewalk as required by law.” The changes, which included the removal of George Opdyke’s mayoral lampposts after four decades, would cost Helen $13,000. Real estate speculators were delighted. The New York Tribune said “Miss Gould might not really need a New York house, and therefore might be induced to let business get possession of the property.” Miss Gould had other thoughts, however. That was almost accurate. For Robert Goelet, like Helen Gould, was still contently ensconced in his mansion two blocks away. Inside Helen’s mansion things remained as they always had been. Her father’s artwork hung on the walls and the family furniture sat where it had for decades. But in 1914 she allowed one more change. She had an Aeolian organ installed in the house. The new organ would be the last alteration to the venerable Gould mansion. On December 21, 1938 Helen Gould Shepard died of an apoplectic stroke at her summer home in Roxbury, New York. Upon her death The New York Times called her “the best loved woman in the country.” In her lifetime she had given away nearly half of her extensive fortune. The final gasp of breath for the two last private mansions would quickly follow. On May 2, 1941 Robert Walton Goelet died in his brownstone mansion and a year later Finley J. Shepard died after a long illness. The house at No. 579 5th Avenue, long coveted by commercial developers, now sat dark and lifeless with a fortune of artwork, silver and antique furniture and tapestries inside. The extensive library, the rugs, silverware, English services of china and glassware, and Helen’s pipe organ were all sold. A 17th century green jade bowl set with rubies brought $2,100 and a white jade bowl of the same period sold for $1,200. 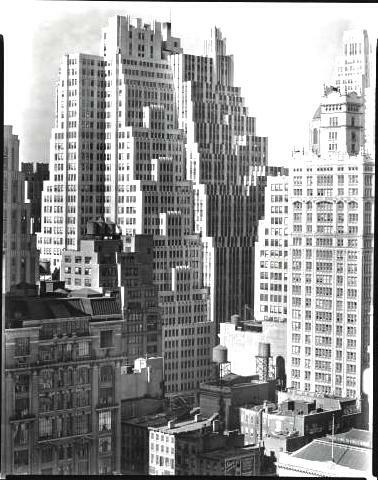 And so in 1953 the last remnants of 5th Avenue’s gilded midtown past were erased. Essentially forgotten today, Abraham Archibald Anderson was more than a portrait painter. 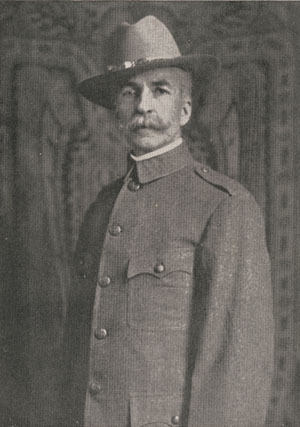 His love of nature would result in his being named Special Superintendent of the Yellowstone Forest Reserve. Letters he received from President Theodore Roosevelt, Buffalo Bill Cody and the first chief of the US Forest Service, Gifford Pinchot, dealt with America’s forests and natural environment, not about art. But in 1900 it was Anderson’s art for which he was best known. Born in New Jersey in 1847, he moved to Paris in his 20’s to study art. While still living here in 1887 he married the daughter of wealthy banker Jeremiah Milbank who founded the Borden Milk Company. Milbank had died in 1884, leaving his daughter, Elizabeth, a considerable fortune. Around the time that he received the Gold Medal at the Paris in 1899 for his painting “Morning After the Ball” the Andersons moved back to the United States. Anderson continued to paint society portraits with such notables as John Wanamaker, Elihu Root and Thomas Edison sitting for him. The wealthy couple traveled extensively and Elizabeth Milbank was involved in numerous charities. But New York City presented a problem to the artist: there was little adequate studio space from which to work. Anderson’s assertion that he “designed, planned, and erected” the building was a bit self-serving. He commissioned architect Charles A. Rich who had already worked with Elizabeth on several of her philanthropic projects, including Milbank Hall at Barnard College in 1896. The site was well-chosen. Across 40th Street to the north was Bryant Park where half a century earlier the grand New York Crystal Palace had stood. The park would serve as the backyard for the white marble New York Public Library by 1911 and the northern light that flooded into the windows of the Beaux Arts Studios was guaranteed. The apartments in the resulting 12-story structure, completed in 1901, were designed as residential and working space specifically for artists. Two dozen double-height studios on the 40th Street side were washed in sunlight from two-story walls of windows. Rich worked with pink brick with terra cotta and stone trim to create a comfortable Beaux Arts-style blend of residential and industrial elements. The first tenants were the owners. Abraham and Elizabeth Anderson took the entire top floor. The apartment and studio would be as much a place of social gatherings as it would be a home and workplace. In January 1915 with the war raging in Europe, the Anderson home was the scene of a “concert for the benefit of French families made destitute by the war,” as reported in The New York Times, and of a bridge tournament for charity. The same month Anderson opened the apartment for the annual dinner of the Hunters Fraternity of America, of which he was president. Mayor John Mitchell, former Senator William H. Reynolds and other members might have been a bit surprised by the live animals running loose. “Rabbits hopping about the table and doves flitting through the air were features of the annual dinner,” reported The Sun on January 16. The following year the Fraternity was back and Rear Admiral Robert E. Peary, discoverer of the north pole and Captain Roald Amundsen, who discovered the south pole, were the featured guests. To highlight the occasion, Anderson decorated with table with snow and an electric-lighted iceberg in the center. By 1917 Anderson was referred to by naturalists as Colonel Anderson. On January 16, 1917 the New York State Forestry Association held its annual meeting in the apartment, during which Dr. William T. Hornaday, director of the Zoological Park warned about the over-hunting of wild deer. “The day is not far off when no deer will be seen except within the State estuaries and parks,” he predicted. It was not all rabbits, doves and deer in the Anderson household, however. Mrs. Anderson continued to host charity events and on May 2, 1918 she held a concert for the benefit of Belgians left destitute by the war. In attendance were the cream of Manhattan society including Mrs. Andrew Carnegie, Mrs. Horace Havemeyer, and the Hewitt sisters. In the meantime the street level was home to the Café des Beaux Arts, owned by brothers Andre, Jacques, Pierre and Louis Bustanoby. The family owned two other restaurants including the Chateau des Beaux Arts in Huntington, Long Island. One block from fashionable 5th Avenue, the high-end restaurant was known for years for its excellent cuisine. The building filled with artists, among them Katherine Sophie Dreier. A member of the Abstraction-Creation movement, her abstract paintings had a spiritual emphasis. Like the Andersons, she balanced her artistic endeavors with charity and political work. In 1915 she served as the chairperson of the German-American Committee of the Woman Suffrage Party. The dentist scoffed to The New York Tribune “How can the du Ponts improve on the use of cocaine or its substitutes?” Ottolengui openly suspected that the ether was simply a cocaine variation. Among those were illustrator J. C. Leyendecker, who would be the major influence of Norman Rockwell; Edward Steichen, Edward Suydam, Haskell Coffin, and John La Gotta. Anderson forgot about the “giving thirty days’ notice” part. 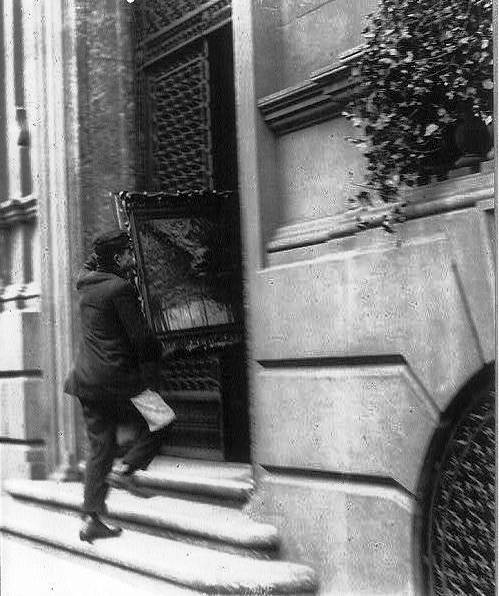 In May 1928 the 78-year old artist was slapped with an eviction notice. He was told to leave the building that he built and still owned. Anderson stood firm and took his leasees to court, eventually winning the legal battle. Artist Thomas Bull, whose studio was on the 7th floor, discovered the fire and alerted other residents, Fifty tenants crowded the street when the firemen arrived and by now flames were shooting out of the 8th floor windows. The building suffered damage when the fire broke through the roof. Chunks of terra cotta fell away from the façade; one piece denting a fire engine. By 9:45 p.m. when the fire was finally brought under control, thousands of dollars in artwork had been destroyed. Abraham Archibald Anderson died in April 1940 at the age of 93. Although his daughter, Eleanor A. Campbell, quickly sold the building to a corporation, it continued to attract artists. A year later in May French painter, sculptor and filmmaker Fernand Leger moved in. At the time other artists like Kurt Seligmann, Florine Stettheimer and photographer Thomas Bouchard had studios here. Eventually the Beaux Arts Studios became less a home to artists than to other creative forces. The Don Elliott recording studios were here through the 1970s and when a young, ambitious clothing designer looked for her first studio in 1975, she chose the Beaux Arts Studio. It would be the beginning of Liz Claiborne’s fashion empire. In the late 1990s, with the building filled with interior designers, photographers and clothing designers, the owners spent nearly $5 million to restore the lobby ceiling, clean the façade and tone down the gaudy shop fronts. With minor alterations, other than the obliteration of the street level along 6th Avenue, the Beaux Arts Studios is remarkable preserved. It was designated a New York City landmark in 1988. In 1796, about three decades before the rural village of Greenwich would explode in a flurry of development, the imposing Newgate State Prison was opened at the foot of Christopher Street. The institution would be abandoned by 1829 and slowly demolished; but the area would little improve. Further away, respectable Federal-style brick rose along the twisting streets of the Village and on 6th Avenue the elegant Greek Revival St. Joseph’s Roman Catholic Church was erected in 1834 to serve the expanding community north of the city. But as the century progressed, the neighborhood along the riverfront filled with less comfortable residents. Irish immigrant laborers were drawn to the area by the low-paying but readily available jobs on the docks and in surrounding businesses. In 1845 Nash, Beadleston & Co. opened a brewery in part of the old prison, a coal yard appeared on nearby Charles Street along with an iron works, a soap plant and a lime shed. In stark contrast to the prim homes of the middle class nearer to St. Joseph’s, these families settled in cheap tenement houses. The situation drew the attention of Archbishop Michael A. Corrigan. St. Joseph’s Church was already overcrowded and the riverfront area was teeming with poor Irish workers. In January 1887 he created the parish of St. Veronica’s to serve the “6,000 souls” estimated to live there, covering the area bounded by West Houston, Bank and Hudson Streets. The “temporary chapel” was a warehouse-stable building. Father Fitzharris faced a significant financial challenge in establishing his parish. He started out with $626 collected from among the St. Joseph’s worshipers on March 27. Adding to the funds would be an uphill journey. The old warehouse and stable was costing Father Fitzharris $2,000 per year and he spent $6,000 to convert it into what resembled a church. The priest elicited donations not only from the neighboring churches—St. Bernard’s, St. Joseph’s and St. Francis Xavier’s; but from as far away as St. Peter’s Church downtown on Barclay Street. The unrelenting priest collected enough that a year later he was able to purchase property on Christopher Street, between Washington and Greenwich Streets for $69,500. The cornerstone would not be laid until March 16, 1890, however. With the impoverished parishioners giving what they could to the building fund, it would be a slow process. At a time when churches and other substantial buildings were being erected within a year or possibly 18 months, it would be another 13 years before the church was completed. The congregation worshiped in the basement throughout this time as construction plodded along above their heads, sometimes halting for a year or more while funds were gathered. The architect chosen for the project was John J. Deery whose home office was in Philadelphia, but who divided his time between there and New York. Deery had started out in 1875 working under Edwin F. Durang who almost exclusively designed Catholic church projects. By now Deery worked on his own and, like his mentor, concentrated on ecclesiastical projects—although he would also design the baseball fields for the Philadelphia, Boston and Chicago teams. Deery’s design for St. Veronica’s would result in a somewhat bulky Victorian Gothic structure of brick and limestone. What it lacked in ethereal grace it made up for in stocky solidity. Four years after starting his project, Father Fitzharris died, never to see his completed church. His successor Father Daniel J. McCormick would not live to see the structure either; dying in January 1903. 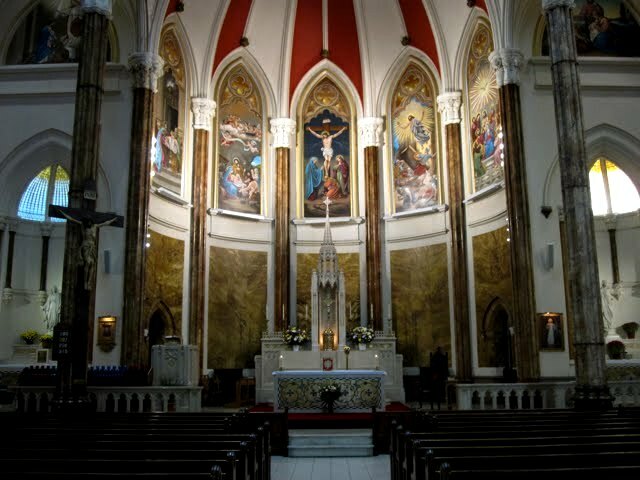 Finally, on June 7 of that year, sixteen years after the parish was founded, the Church of St. Veronica’s was opened. The parishioners had good reason to be proud. Despite having little money, they had raised enough to build a substantial church building. Much of the money had come from two parish fairs staged by the women—events that often lasted a week or more and included carnival-like festivities like games of change, refreshments, music and entertainments and home-made gifts to purchase. At one, held in 1880, a featured prize was a full set of bow and arrows and a tomahawk said have once belonged to Rain-in-the-Face, an Indian from the Camp of Sitting Bull. The two fairs alone had raised over $33,000. The priests of St. Veronica’s would deal with much in the impoverished and mostly illiterate parish. In 1908 the Greenwich House Papers reported that nearly 50 percent of the fathers of St. Veronica’s students were unemployed. Alcohol and violence often resulted in tragedy. 57-year old Frank Van Heck lived at No. 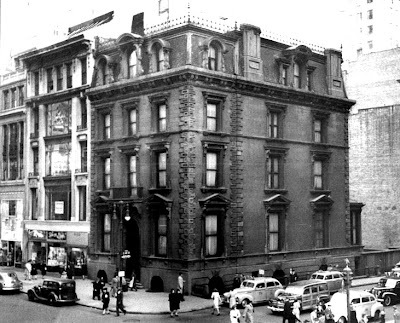 76 Morton Street and often visited neighborhood saloons playing his accordion. On the evening of July 7, 1901, however, he visited friends in the building--Peter Gilleyn and his wife, Mary. There were also two men there whom Van Heck did not know. “They were all drinking and having a lively time in Gilleyn’s apartment,” reported The New York Tribune the following day. Then things turned ugly. Gilleyn asked Van Heck to play his accordion. He refused. The host said “Well, if you don’t do it right quick, I’ll make you.” To prove his point he produced a club and knocked Van Heck down. Within seconds there was a melee. The two strangers wrenched the club from Gilleyn while his wife grabbed a pair of scissors and joined in the skirmish. When Van Heck saw Gilleyn heading for him with an axe, he bolted out the third floor window. Father Horrigan of St. Veronica’s rushed to the scene where the man who refused to play the accordion lying on the sidewalk with a broken skull and jaw. While the two strangers fled, police took Peter and Mary Gilleyn into custody. Father Horrigan administered last rites on the pavement. Irish priest John J. Brady was assistant rector of St. Veronica’s in 1916 as the United States’ involvement in World War I seemed imminent. He left his position to join the Navy, taking a berth on the battleship Arkansas. Almost immediately after the U.S. entered the war he asked for a transfer to the Marine Corps. He became the first Catholic chaplain to land with the first American troops in France. On St. Patrick’s Day, 1918, Brady was riding in a jeep with three French soldiers when a shell hit the car. Everyone except the priest was killed. In a letter to his mother, Father Brady said that “the blessed Irish Saint” must have been with him. On the morning of September 19, 1926, the new Bishop John Mitty celebrated his first pontifical mass. He did so in the Church of St. Veronica’s. Mitty had attended church here as a boy and then, having become a priest, celebrated his first mass here. He felt it appropriate to begin his elevation in the friendly surroundings of his old church. Among the messages of congratulation was one from Gene Tunney, challenger for the world’s heavyweight boxing title. “The message expressed Tunney’s regret at not being able to attend the services,” reported The New York Times. The Irish fighter was a member of the congregation and had graduated from its school in 1911. The parish was proud of its newly-famous member, although the pastor, Rev. Patrick H. Drain, had to tip-toe around the prize-fighting issue. Tunney’s prizefighting was also a potential source of revenue. There was still a substantial debt owed on the church building in 1926 and, therefore, it had never been consecrated in its 23 years of existence. Father Drain was determined to erase the $279,000 mortgage and in his fund-raising sent a letter to Tunney asking if he would care to help the parish. Just before Tunney’s reply came late in September 1927, the money had all been raised. When Father Drain opened the envelope from the prize fighter, he found a check for $1,000 “to help the church in any way you see fit.” With the mortgage paid, the priest decided that “what would help the most just now was to paint the rectory inside and outside,” said The Times. In April 1930 a memorial tablet was unveiled in honor of the deceased war veterans of the parish. It was a gesture that would hauntingly foreshadow another memorial decades later. By the 1970s the neighborhood that had once been home to poor, hard-working Irish immigrants was the center of New York’s gay culture. Christopher Street was synonymous nation-wide with the Gay Rights movement and bars and shops catering to homosexuals lined the street from 6th Avenue to the Hudson River. The congregation of St. Veronica’s was now a broad mixture of ages, races and sexual orientation. Gay groups met in the basement of the church. But the AIDS epidemic would change the complexion of Greenwich Village forever. As more and more men became ill and died, the light-hearted atmosphere of Christopher Street plunged into despair and fear. By the mid 1980s hundreds of Village residents were dying every year and the Catholic Church was viewed by many as an enemy. Cardinal John O’Connor declared that there would be no talk of condoms in his “jurisdiction,” although it was widely known that the use of condoms would prevent the spread of AIDS. At the same time he ousted the gay group Dignity from a Manhattan church where it held its weekly masses. O’Connor was confused when he gave AIDS patients “the smile I am told does wonders on television,” only to be turned away. But when it appeared that the cardinal was blind to the needs of one part of his flock who felt shunned by their church he did a remarkable thing. O’Connor reached out to Mother Teresa for help. The nun sent a staff of her Missionaries of Charity to New York to establish the Gift of Love Hospice in their converted rectory of St. Veronica’s. The nuns, in their iconic blue-and-white habits, became a comforting and familiar presence along Christopher Street. The small house could shelter only 15 AIDS victims, but the nuns worked tirelessly caring for the dying men. In June 1993 the AIDS Memorial in the Village was installed in the balcony of St. Veronica’s church. It consisted of brass plaques with the names of Villagers who had succumbed to AIDS. There are over 1,000 of them. Every year during Gay Pride week, St. Veronica’s holds an interfaith service to remember the victims of the devastating epidemic. The Archdiocese of New York converted the church to a chapel of Our Lady of Guadelupe/St. Bernard’s Church on West 14th Street in March of 2006. Now formally titled the Mission of Our Lady of Guadalupe, no one calls it that. To New Yorkers and, particularly, Greenwich Villagers, it will always be St. Veronica’s.